Transit signal priority that will keep lights green when buses approach an intersection is one of several Integrated Corridor Management (ICM) improvements provided by the Lower Hudson Transit Link — a new bus system that will replace the current Tappan ZEExpress lines Suffern to White Plains and Spring Valley to Tarrytown (via Nyack) — in fall 2018. No more waiting at red lights that take forever to turn green especially when there are no cars coming through the cross streets. Last the state Department of Transportation Project Team hosted two open houses on ICM — which manages systems more effectively with technology like sensors in the road and real-time traffic information — for bus routes that will stop at key points in Westchester and Rockland identified by engineering firm ARUP. While the mass transit task force’s February 2014 report suggested seven bus routes, the state chose to start with two lines until additional funding becomes available. Plans include upgrades along Route 59 and a more comfortable and faster ride for those using Tappan Zeexpress. Westchester County’s I-287 and Route 119 between I-287 and White Plains train station will have new signal priority and upgrades, new bus stops, ramp metering — using a signal to regulate traffic entering the highway via sensors on the road — and queue jump lanes for buses. While there are no dedicated bus lanes on the new bridge, on I-287 or on local streets, buses will have priority with queue jump lanes at select highway on-ramps and at several intersections along the Route 59 corridor. “The good news is the bus stop was moved from a residential area onto Road F,” South Nyack Mayor Bonnie Christian commented later. One LHTL stop will be within Interchange 10 (South Franklin Extension) in South Nyack and at Artopee Way in Nyack, the state DOT confirmed. Pomona resident Ivy Kramer was disappointed to learn her direct bus route from Lot J at the Palisades Center would take her to White Plains train station instead of to Tarrytown train station. 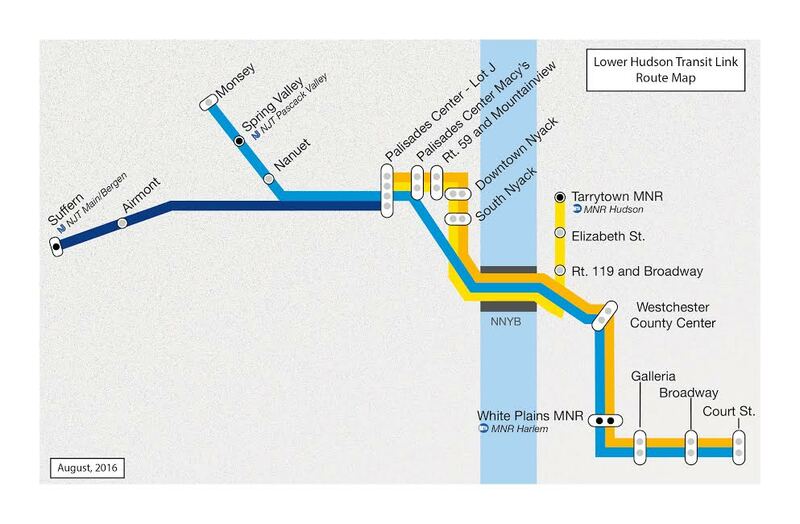 White Plains is not one of the program’s seven participating Metro-North train stations. A Request for Proposal for the transit operator is currently being revised with a guarantee from the state that bus service will start in November 2018. “We hope to have a contract awarded by the end of the year,” he said. 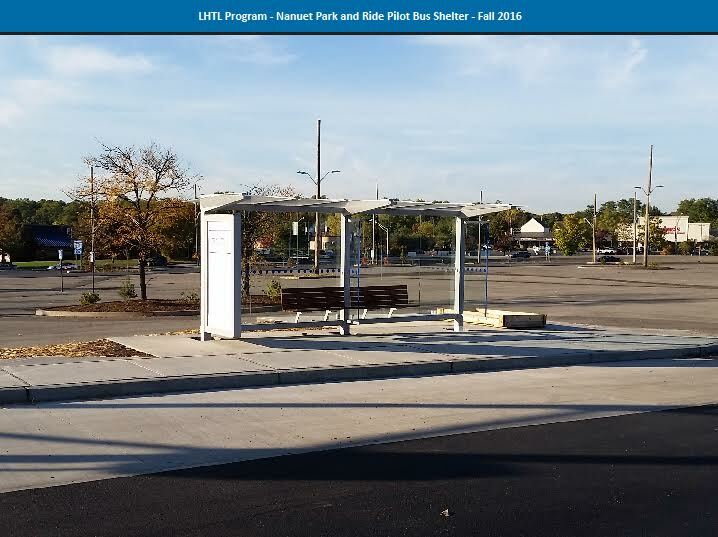 Pilot bus shelters can be seen at the Exit 14 Nanuet Park and Ride construction site and at Elizabeth Street in Tarrytown. “The shelters will be equipped with Wi-fi and real-time information: when the bus will arrive at the station, stops along the way to White Plains and Tarrytown, and connecting train schedules to New York City,” Hartwig said. Officials are studying a proposal for a dedicated bus-only lane on the new spans. For more information visit https://www.dot.ny.gov/LHTL.